Edmund de la Pole, 3rd Duke of Suffolk, 6th Earl of Suffolk, KG (c. 1471 – 30 April 1513), Duke of Suffolk, was a son of John de la Pole, 2nd Duke of Suffolk and his wife Elizabeth of York. His mother was the second surviving daughter of Richard Plantagenet, 3rd Duke of York, and Cecily Neville. 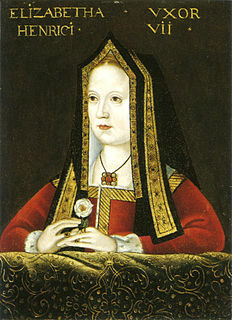 She was also a younger sister to Edward IV of England and Edmund, Earl of Rutland, as well as an older sister to Margaret of York, George Plantagenet, 1st Duke of Clarence, and Richard III of England. His paternal grandparents were William de la Pole, 1st Duke of Suffolk, and Alice Chaucer. Suffolk was an important English soldier and commander in the Hundred Years' War, and later Lord Chamberlain of England. Alice Chaucer was a daughter of Thomas Chaucer, Speaker of the Commons on three occasions, Chief Butler of England for almost thirty years, and granddaughter of the poet Geoffrey Chaucer. De la Pole's eldest brother John de la Pole, Earl of Lincoln (c. 1464 – 1487), was the designated heir of his maternal uncle, Richard III of England, who gave him a pension and the reversion of the estates of Lady Margaret Beaufort. Meanwhile, Edmund was made a Knight of the Bath at the Coronation of his uncle, King Richard III; and was present at that of his cousin, Elizabeth of York, the Queen Consort on 25 November 1487. However, on the accession of Henry VII following the Battle of Bosworth Field, Lincoln took the oath of allegiance instead of claiming the throne for himself. In 1487, Lincoln joined the rebellion of Lambert Simnel and was killed at the Battle of Stoke. After the death of his older brother, Edmund became the leading Yorkist claimant to the throne, and he succeeded to the title Duke of Suffolk in 1492. Edmund took part in the Siege of Boulogne in October 1492. However, he is said to have subsequently agreed with King Henry VII, by Indenture dated 26 February 1492/3, to surrender the Dukedom (with, apparently, the Marquessate) of Suffolk, and to be known henceforth as the Earl of Suffolk only, this being ratified by Act of Parliament in 1495. In consideration of this surrender and "of the true and diligent service done to his Highness by the said Edmund" the King granted to him, for £5,000, a portion of the lands forfeited by his elder brother John, Earl of Lincoln, in 1487. He was one of the leaders against the Cornish rebels at Blackheath, 17 June 1497. However, in Michaelmas term 1498 he was indicted for murder in the King's Bench and, though afterwards pardoned, he fled overseas to Guisnes, July 1499, returning to England after September. He was at this time recorded as stout and bold and of courage. On 5 May 1500 he witnessed at Canterbury the treaty for the marriage of Prince Arthur with Catherine of Aragon. He then left for France, arriving there on the 13th, and attended the King at his meeting with the Archduke Philip, at Calais, on 9 June 1500. 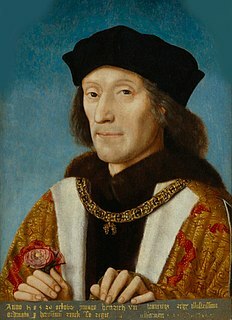 In August 1501 he and his brother Richard again left England without Royal leave (apparently assisted by James Tyrrell, who was subsequently executed for these actions), and joining the Emperor Maximilian I in the Tyrol, he assumed his former title of Duke of Suffolk, being also known as the "White Rose" (Yorkist Pretender). For his alleged projected rebellion he was proclaimed an outlaw at Ipswich, 26 December 1502, and with his brothers William (arrested on suspicion and sent to the Tower, which he never left, early in 1502) and Richard, was attainted in Parliament January 1503/4, whereby all his honours were forfeited, backdated to 1 July 1499. Seward relates that throughout this period until Edmund's death he used a Thomas Killingworth, gentleman of East Anglia and London, as his Steward, for which Killingworth later received a Royal Pardon. On 28 July 1502 Maximilian signed a treaty at Augsberg whereby, in return for £10,000, he undertook not to help the English rebels. Nevertheless, Suffolk was allowed to remain at Aix, 1502–04, though on leaving he had to leave his brother Richard as hostage for his debts. Upon leaving Aix about April 1504 in an attempt to join the Duke of Saxony in Friesland, he was imprisoned by the Duke of Gueldres at Hattem and subsequently by the Archduke Philip, Maximilian's son, at Namur into 1506. Philip had been blown off course while sailing, and reluctantly and unexpectedly became a guest of Henry VII. Needing to set sail again in order to claim his wife's inheritance (Castile), Philip was persuaded by Henry to hand over the Earl of Suffolk. Henry committed him to the Tower on his arrival in London, late in March 1505/6. On the accession of Henry VIII, Edmund being still in the Tower, was (with his two brothers) excepted from that King's general pardon, 30 April 1509. After being a prisoner in the Tower for 7 years, he was (since his brother Richard had joined the service of France, with whom England was then at war), without any further proceedings beheaded on Tower Hill aged about 42. Montaigne, in his Essays, said that Henry VII, in his Will, instructed his son to put Suffolk to death immediately after his own decease, and the author criticized Henry for requiring that his son do what he himself would not do. Edmund married, before 10 October 1496, Margaret, daughter of Sir Richard Scrope, Knt., second son of Henry Scrope, 4th Baron Scrope of Bolton. They had an only daughter, Elizabeth, who became a nun and died of the Black Plague in the Convent of the Minoresses without Aldgate, London in 1515. Edmund's younger brother, Richard de la Pole, declared himself Earl of Suffolk and was the leading Yorkist pretender until his death at the Battle of Pavia on 24 February 1525. 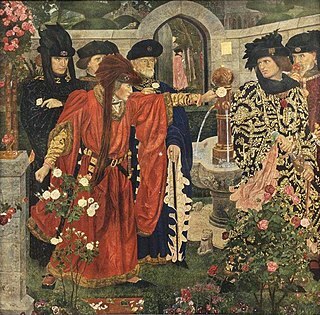 ^ "Henry VII and the English nobility", T.B. Pugh, The Tudor nobility, ed. G.W.. Bernard, (Manchester University Press, 1992), 51. ^ "Henry VII and the English nobility", T.B. Pugh, The Tudor nobility, ed. G.W.. Bernard, 64. ^ Handbook of British Chronology, ed. E. B. Pryde, D. E. Greenway, (Cambridge University Press, 2003), 484. ^ S.B. Chrimes, Henry VII, (Yale University Press, 1977), 93. ^ It seems probable, given the scarcity of the surname Killingworth in East Anglia, that Thomas is a close relation or ancestor of the Killingworth family given in the Visitations of Cambridge, 1575 & 1619. ^ Michel de Montaigne Essays (1580), Book One, Chapter 7 'That our actions should be judged by our intentions'. Original Letters Illustrative of English History, including numerous Royal Letters by Sir Henry Ellis, K.H., F.R.S., Principle Librarian of the British Museum, 3rd series, volume 1, London, 1846. (Many references). The Complete Peerage by G.E. Cockayne, edited by Geoffrey H. White, F.S.A., F.R.Hist.S., vol.xii, part 1, London, 1953, p. 451–3 and notes. Plantagenet Ancestry by Douglas Richardson, Baltimore, Md., 2004, p. 690.